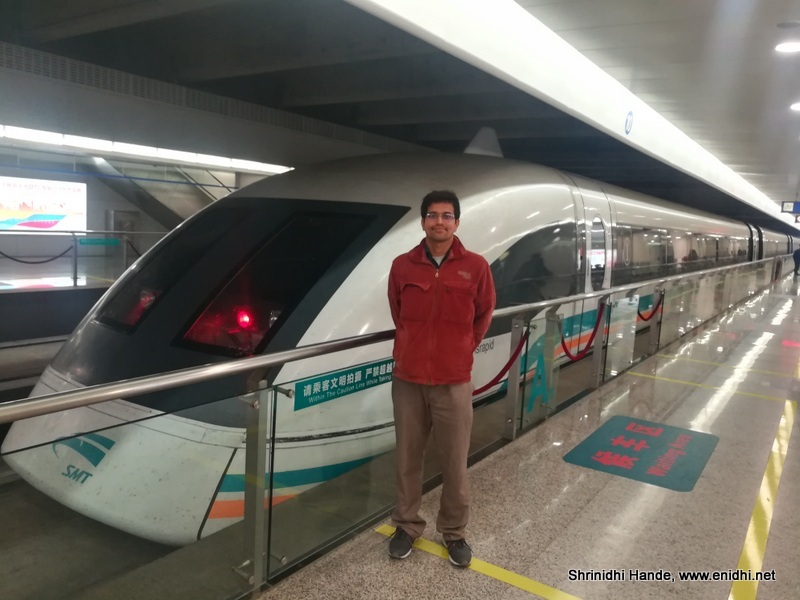 When in Shanghai I had an opportunity to take a ride on a special train. Unlike other trains, this train doesn’t have any contact between train and the track-train floats on the track using magnetic repulsion. The technology is called Maglev, short for magnetic levitation. This concept is being used to power locomotives- at present the concept is being practically used for high speed trains in 3 cities around the world- Birmingham in UK, Berlin in Germany and Shanghai in China. The hyped hyperloop trains also work on same principle. 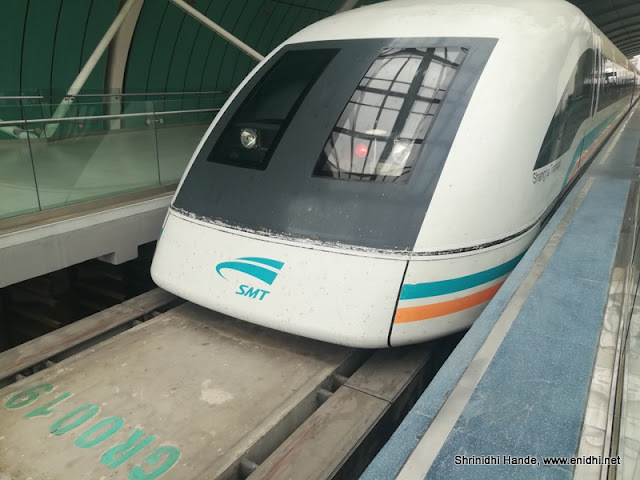 In China’s Shanghai, Maglev train connects Shanghai’s Pudong airport to Longyang station, where international expo center is located. The distance of 35 kms is covered in under 10 minutes, at a top speed of 301 kmph. I had some difficulty in locating the station but eventually I did figure out where to board. The ticket costs 50 RMB (INR 500) one way, 80 RMB or CNY for return. If you have a flight out of Shanghai on same day, you get 20% off. 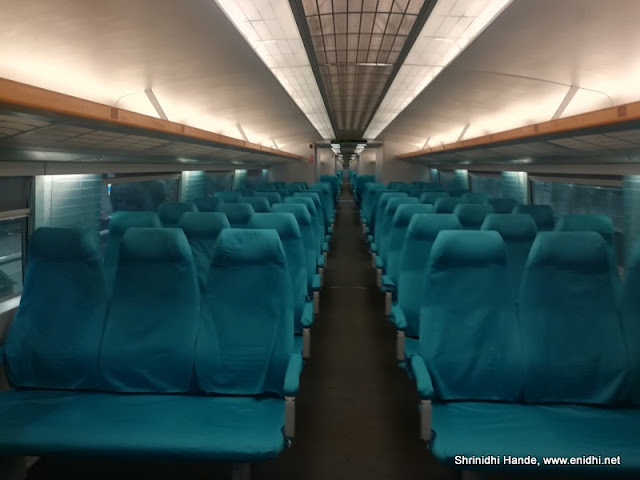 In less than 2 minutes of train starting, it attained a speed of 301 kmph. As you can see in below pic, train started at 11 AM and within 11.02 it had crossed 300. I actually waited for few more seconds to see if it goes any further, hence the delay in clicking- looks like it is limited at 301 kmph. Throughout the journey it maintained 301 kmph, till it began to slow down for the destination. The journey lasted only about 10 minutes. 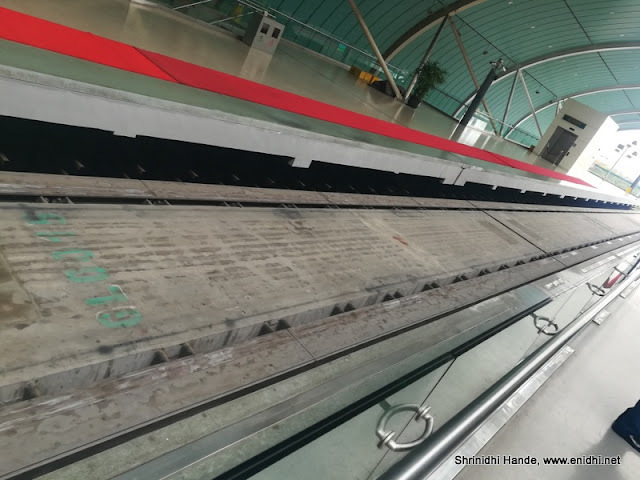 Besides the speed, Maglev train gives great view of Shanghai city as it cruises on an elevated track. Why Maglev technology is not used everywhere? I think it is because of cost. 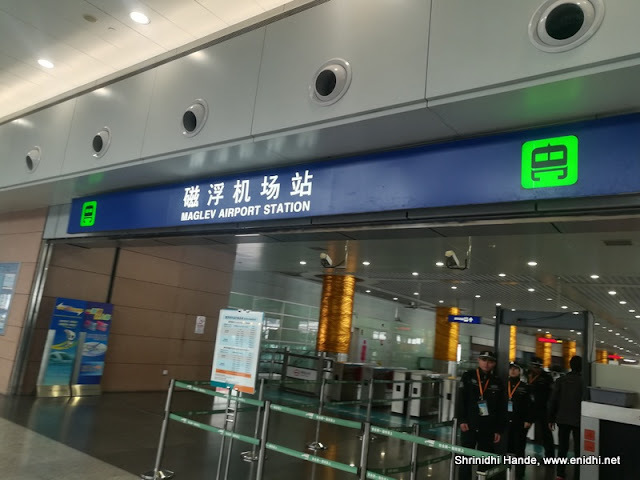 While it costs 50 CNY to reach Pudong Airport on Maglev, you can reach the airport for about 5 to 7 CNY on Shanghai metro- 10 times cheaper. Metro takes much longer, but has dozens of stops all over city, so it is convenient to board at a station closer to your home and hotel. So I think convenience and cost is valued more than speed. Also right now Maglev has a non stop service between two stops- if it is to have lots of stops it can’t sustain its top speed. It also needs a dedicated elevated track.But definitely Maglev train is lot smoother and faster- once it becomes affordable probably more cities will adapt to it. India had some proposals for hyperloop and high speed trains- like between Chennai n Bengaluru n so on. Not sure which one will materialize, if at all. Would buying diesel car still make sense in 2019? The murky world of fake Instagram influencers! Perils of traveling too much!